The Ukrainian World Congress (UWC) project, Patriot Defence, was initiated in mid-May of 2014 in response to the urgent need for training in first aid on the battlefield, and providing individual first aid kits for Ukrainian soldiers. The soldiers had either no first aid kits at all, or were given an old Soviet rubber tourniquet and a bandage as their “kit.” Little if any medical training had been provided to them during their preparation for deployment. UWC began working with local Tactical Combat Casualty Care (TCCC) instructors from the Red Cross and the Ukrainian Center for Special Training, providing courses for Ukrainian soldiers in TCCC. However, the courses were geared more towards civilians and Law Enforcement, so we decided to bring in professional instructors to provide Combat Lifesaver courses for the soldiers, as well as to further train the local TCCC instructors. Training on how to perform a pneumothorax procedure on a collapsed lung. Combat Lifesaver (CLS) is a course taught to US and NATO soldiers in which they learn to treat the three main killers on the battlefield–catastrophic bleeding, blockage of the airway, and tension pneumothorax. CLS training takes into account the unique conditions of the battlefield and the primary responsibility of the soldier to first and foremost complete his combat mission. The Improved First Aid Kit (IFAK) given to each soldier provides the tools with which they can save their own (self-aid) and their fellow soldiers’ (buddy-aid) lives. 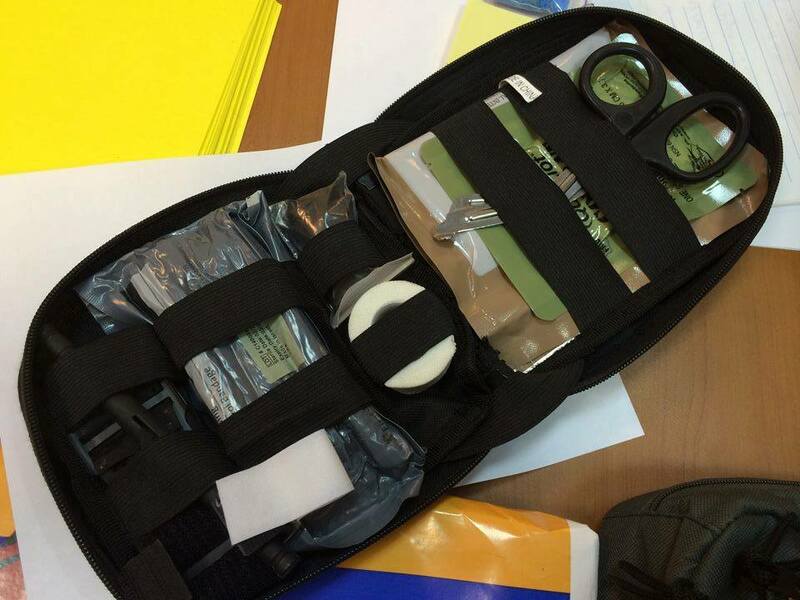 UWC began providing this kind of training and IFAKs to Ukrainian soldiers beginning in June of 2014. Once the professional trainers from ParamedCZ ran several courses in Ukraine and word got around, requests for more courses and IFAKs began pouring in. To date we have trained over 2000 soldiers, including those from the Armed Forces of Ukraine 25th Battalion, National Guard Second Battalion, SBU Alpha, Battalions Donbas, Myrotvorets, Kyiv II, Lviv, Zoloti Vorota, Ukrainian National Security Forces, Ukrainian Army Special Forces, and others in places ranging from the training base for the Armed Forces in Desna, for the National Guard and Battalions at Nova Petrivka, SBU Alpha base, Obukhiv, Vita Poshtova, Yavorivsky Polygon, to areas where soldiers are currently deployed in the ATO zone. After completion of training, the soldiers receive IFAKs. The training course ideally spans two days-the first day in which the soldiers are taught the theory behind CLS and learn how to treat injuries using the CABC algorithm-Catastrophic bleed, Airway, Breathing, and Circulation. The second day is filled with simulations of battle conditions, where the skills learned on the first day are carried over into real life battle scenarios, with the students wearing full battle gear, performing the life-saving techniques under fire, surrounded by smoke and exploding grenades, so that they experience the true nature of “tactical combat first aid.” There is usually one trainer for 25 students, and a coordinator for the length of the training course. Currently donations are coming in from all over the world, including Australia, Canada, the US, Austria, Germany, Great Britain and Ukraine. We have provided 1250 IFAKs to the soldiers trained, and have 500 on the way. We plan on reaching a goal of training 10,000 soldiers and providing each of them with an IFAK. There are 2-3 training courses happening every week, with a total of 25 Ukrainian instructors and visiting professional instructors from the US, Great Britain, Scotland, Czech Republic and Ireland, all with many years of experience as soldiers first, and combat medics second. Every day we get reports from the front line that the training provided through CLS and the IFAKs are saving soldiers’ lives. At the end of every training we hand an IFAK to each soldier-patriot, thanking them for their defence of Ukrainian independence and territorial integrity, and pass along the heartfelt support of the Ukrainian Diaspora, who through this program hope to give the soldiers the opportunity to save their own or their buddy’s life if injured in defense of Ukraine. 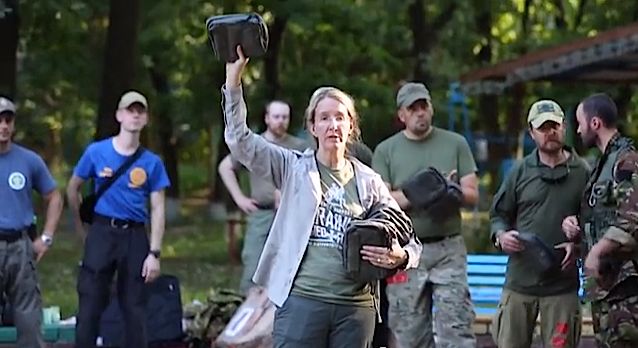 From the Staff of Voices of Ukraine: Please consider donating to Patriot Defence as a reliable, trusted and safe means for supporting Ukrainian troops with urgently needed, higher-tech Improved First Aid Kits and top level professionally certified combat medical trainers to help save lives now. Help them reach their goal of delivering 10,000 IFAKs to Ukrainian soldiers who are in trenches fighting daily to protect Ukraine. This entry was posted in "Voices" in English, English, English News, Help for ukrainian army, Pictures, South&Eastern Ukraine, Video, War in Donbas and tagged #RussiaInvadesUkraine, #SaveUkraine, #Ukrainian World Congress, ATO, civil society, CLS, Combat Lifesaver Training, Dr. Ulana N. Suprun, IFAKs, Patriot Defence, TCCC, Ukraine. Bookmark the permalink. 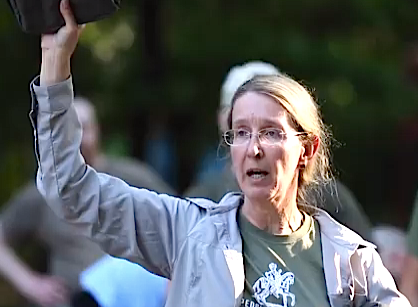 Dr Ulana Suprun is an inspirational figure, dedicated to saving and preserving life. She is truly a driving force behind this training and PMCZ is proud to support Dr Suprun and all her colleagues in their efforts. Proud to know her and call her friend! Excellent, and of course I like to help such people – But what a pity to think to ukrainian oligarchs saving millions abroad….